Ladies do you fancy joining me this month for a weekend of fishing. We will spend a day fishing Tweed tributary Bluestone for salmon (Saturday 14th October) and then bank fishing for rainbow trout on Coldingham Loch (Sunday 15th October ). The total cost is £50 which includes fishing on both days and lunch. Bluestone Fishing: The main run of autumn salmon arrive through September and October, these runs can be prolific if the rainfall is consistent. The beat fishes well from 9 ins to 2ft on the Hutton Castle river gauge which is sited in the middle of the beat. The gauge is updated during the day and can be viewed on FishTweed and FishPal. During the fishing day anglers will fish the entire beat, (Upper & Lower). All rods rotate each day at lunchtime. Anglers fishing the beat using the fly are recommended to use the a 12ft or 13ft double handed rod in good water conditions, or possibly a switch rod in lower water. The beat’s hut is located at the top of the Lower Beat next to the car park. The comfortable hut has tea/coffe making facilities, BBQ and a small stove, everything you need to enjoy a light lunch or picnic. Toilet facilities are located near to the fishing hut. The day permit includes fishing and a BBQ lunch. 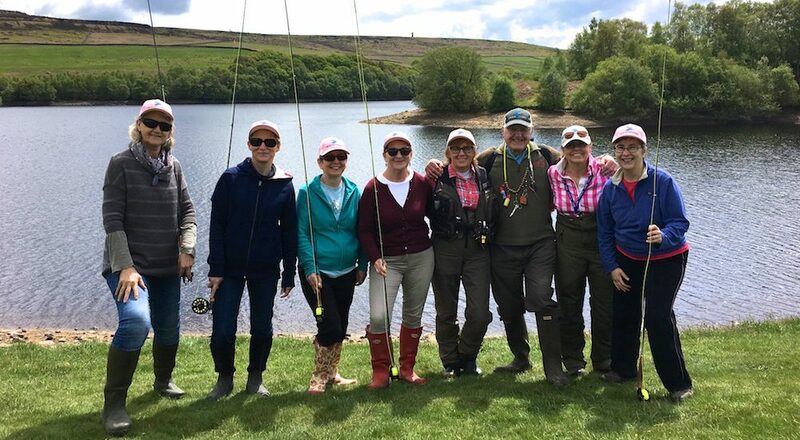 Bluestone Fishing is situated 5 miles inland from the A1 at Berwick Upon Tweed and is located near the village of Hutton Hall Barns, postcode TD15 1TT – read more. Coldingham Loch: Beautiful 22 acre natural spring fed loch on south east coast offering first class fly fishing from boats and wading. Quality fully finned Browns, Rainbows and Blues stocked from 2lbs, grown on naturally in this eutrophic loch to give fantastic sport. Facilities include fisherman’s lodge, complimentary tea & coffee, car park, toilets, motors for hire, loyalty card scheme. Easy access from A1 to Edinburgh and Newcastle – read more. Coldingham Loch day permit includes 4 hour fish permit, take 2 fish and lunch.